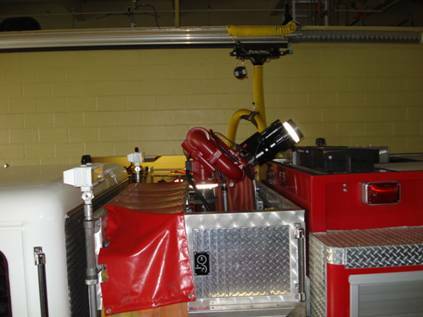 2007 American LaFrance Liberty. 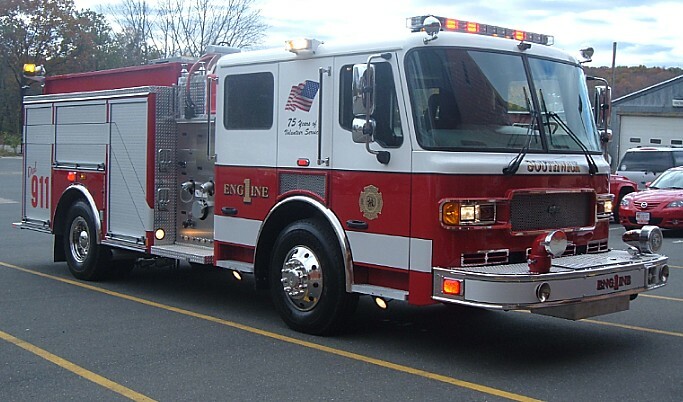 Engine 1 is the first due engine to all fire calls. 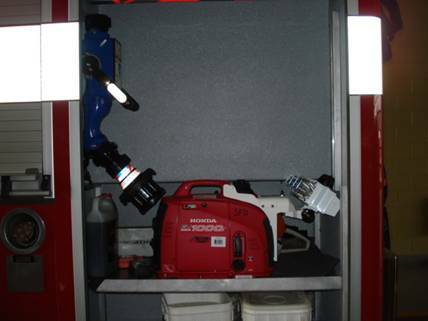 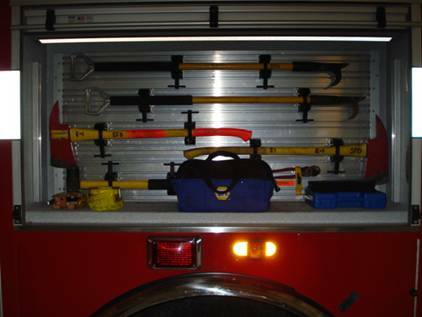 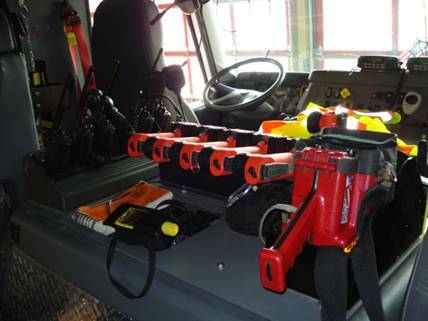 It can carry a crew up to six firefighters to calls. 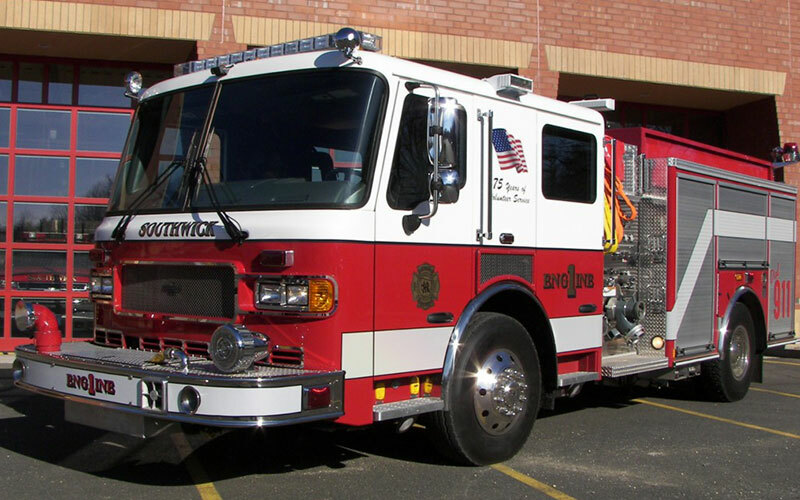 This engine holds 1000 gallons of water, 40 gallon foam tank, with a 1500 gallon per minute pump.